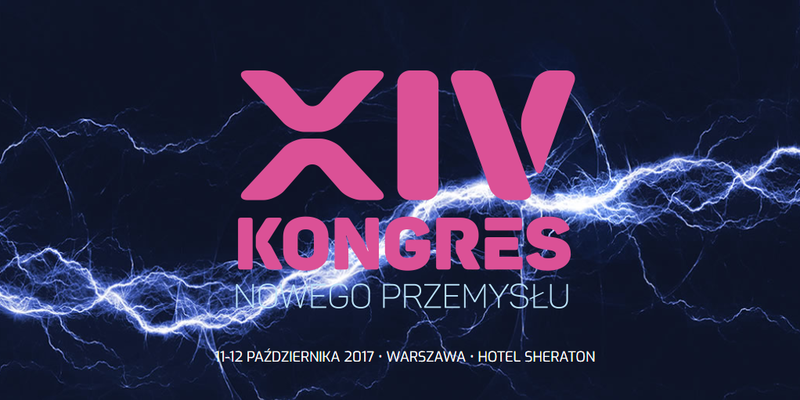 Virtual Power Plant is a partner of the 14th edition of the New Industry Congress, which will be held next week in Warsaw. During the event there will be held, among others, debate about energy on the electromobility market. The CEO of Virtual Power Plant will take part in the discussion. New tasks for Distribution System Operators (DSOs). Will there be new revenue streams? Rafał Czyżewski, CEO of the Board, Greenway Infrastructure Poland Sp.z o.o. Bartosz Kubik, CEO of the Board, Ekoenergetyka-Polska Sp.z o.o. Moderator of the discussion will be Maria Szurowska – energy analyst from Polityka Insight. The two-day New Industry Congress gathers about 1,000 participants each year. It is attended by the most important figures in the energy sector, leaders of energy companies, representatives of the government, parliament and public administration, experts, scientists, journalists. Purpose of the Congress is to support actions that will contribute to positive changes in the energy, gas and other fuels sectors which have impact on the stability, condition and development prospects of the entire Polish economy. In this context on the Congress will be undertaken topics such as: new ownership shape of our energy industry in the context of Poland’s energy market and energy security, new conditions for development of the renewable energy, development prospects for heat industry in Poland. Also there will be held discussions on how the future of energy is influenced by the pressure of regulatory changes – above all as a consequence of the EUs energy and climate policy. There will be talked over the most important expansionary market trends (bundling, demand management, role of the customer and prosumer) and technology trends (electromobility, energy storage, waste utilization, intelligent solutions). The organizers will also rise questions about the future of nuclear energy in Poland, investment prospects for electric power transmission and distribution, promising directions of innovative and research & development activities. The 14th New Industry Congress will take place on 11th-12th of October. More information and registration at www.kongresnp.pl. During last years edition of the New Industry Congress Virtual Power Plant was awarded with award “Benchmark. Effective energy project 2016” granted jointly by the editors of “New Industry” magazine and website wnp.pl.